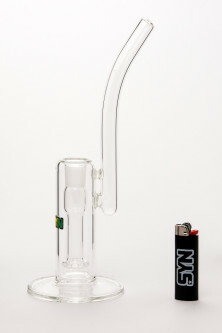 Micro circs use a well-known perc, the suspended circ, as main feature of this bubbler. Flame polished pinhole cuts ensure the smallest bubbles from a circ possible. Smaller diameter tubing makes this a more convenient, lower volume design. 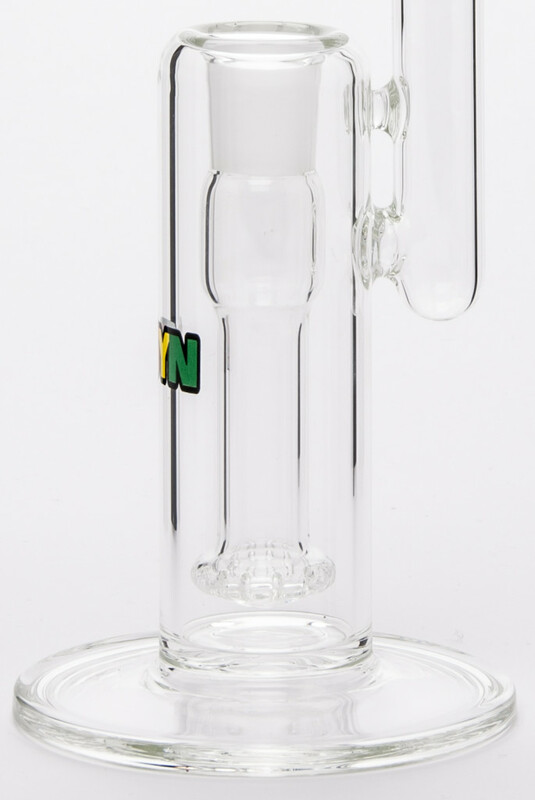 A small taster-style offset mouthpiece protects the user from splash. The recessed ground joint adds durability to the most impacted part of the tube. All of the bases for our bubblers are beaded (thickened) by the glassblowers before completion.